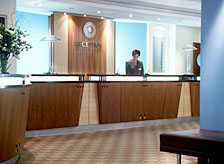 Modern 333 bedroom hotel known for its friendly service and relaxed atmosphere. Located in a quieter area of the West End, central for shopping, Oxford street and Regent street, theatres, Regent?s park and Madame Tussauds. The guest rooms are very modern with hair dryer, direct dial telephone, colour TV, shower and bath, tea and coffee making facilities and trouser press. There are two restaurants: Junction and Sampans. The hotel is conveniently situated with Great Portland, Warren street and Regent?s park Underground stations just a few minutes walk away. King's cross, Euston and Paddington Stations are also nearby. All the bedrooms standard and superior, offer a direct dial telephone, Mini bar, interactive TV which provides in house movies, wake up call facilities and on screen bill viewing. 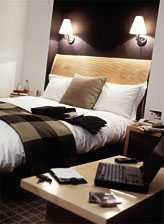 The standard rooms also have trouser press, iron and ironing board, hair dryer and 24 hour room service. The superior rooms where available offer Extra products in the room such as cotton duvet covers, power showers, exclusive bathrobe and Neutrogena toiletries. Also provided is the Times newspaper complimentary. A choice of two restaurants offering modern British cuisine in the Junction restaurant, and in the Sampans restaurant - authentic Chinese, Thai and Malaysian cuisine. 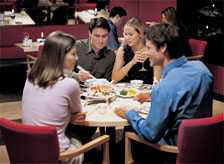 Light snacks and meals are served every day along with coffee, teas and alcoholic beverages in the Bar lounge area.